The Russian city of Almetyevsk teams up with Copenhagenize Design Co. on one of the greatest transport projects of the 21st century. A complete transformation into the best bicycle-friendly city in Russia. 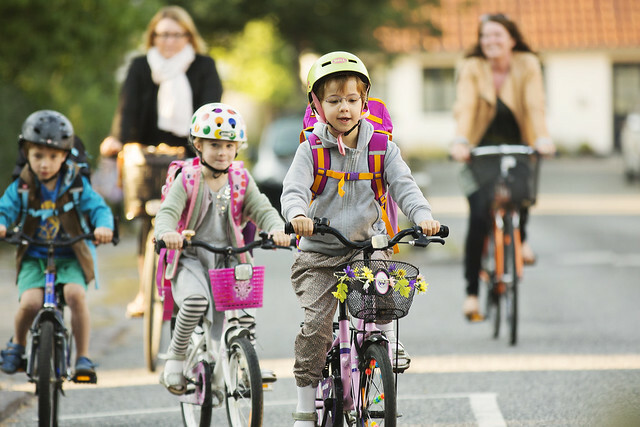 More and more kindergarten children play games on bicycles and in the near future 10 Danish cities get permanent bicycle playgrounds. The concept of cycling games developed by the Danish Cyclists’ Federation has made significant headway. The Municipality of Odense recently opened a new bridge removing a missing link in the city’s bicycle track network.